The perfect complement to the Chicago Flapper costume. 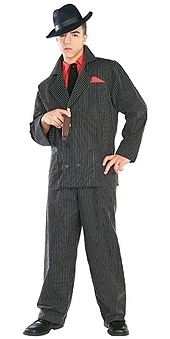 Go back to the 1920's in style as a Gangster Man. Comes complete with trousers and jacket with attached shirt front and tie.